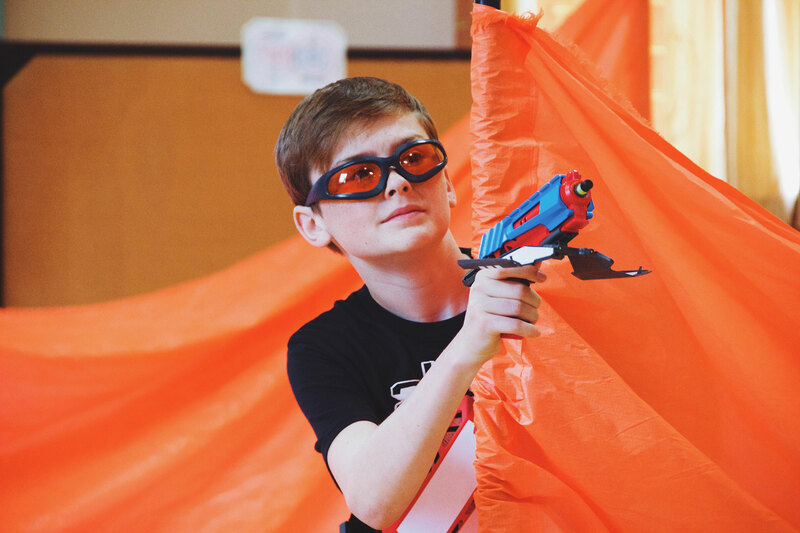 Had a Nerf party and looking for a different twist??? 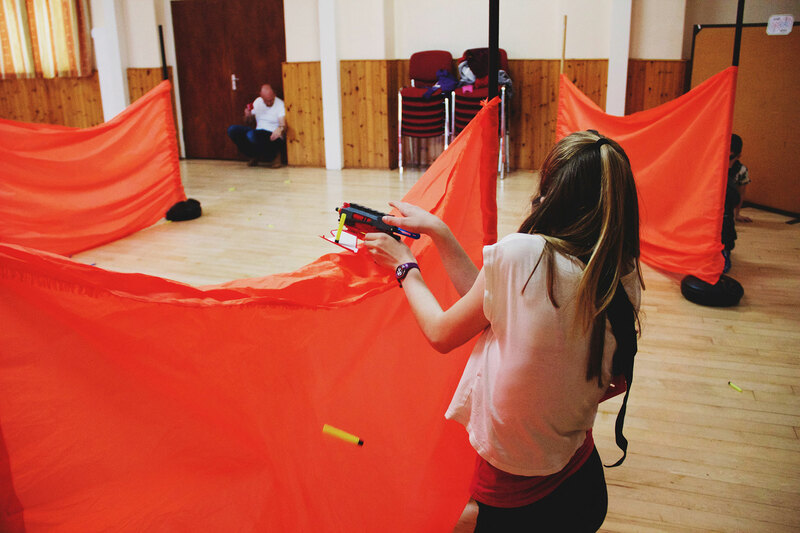 The BoomCo guns are similar to Nerf but the darts fly a little faster and even more accurately. 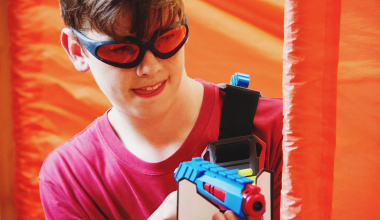 It creates a totally new game play but has the same rush and feel of Nerf! 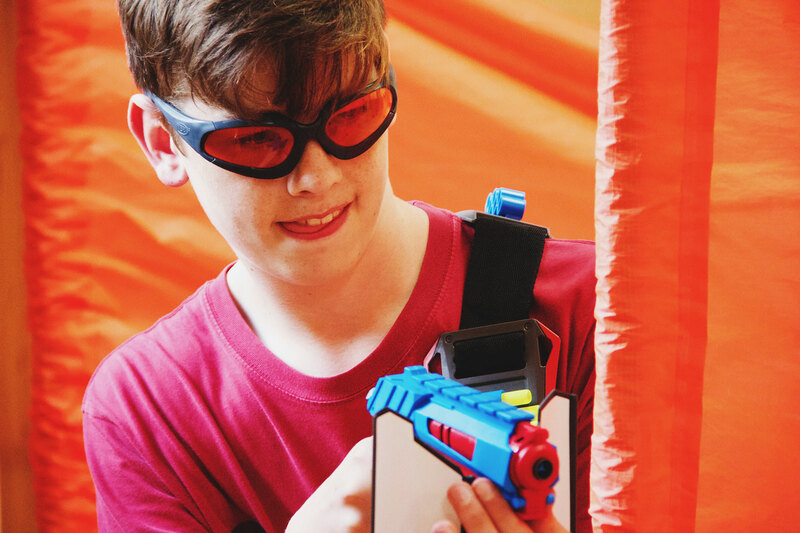 The BoomCo’s darts use a special kind of material on the end which means they stick to only a specific kind of material. 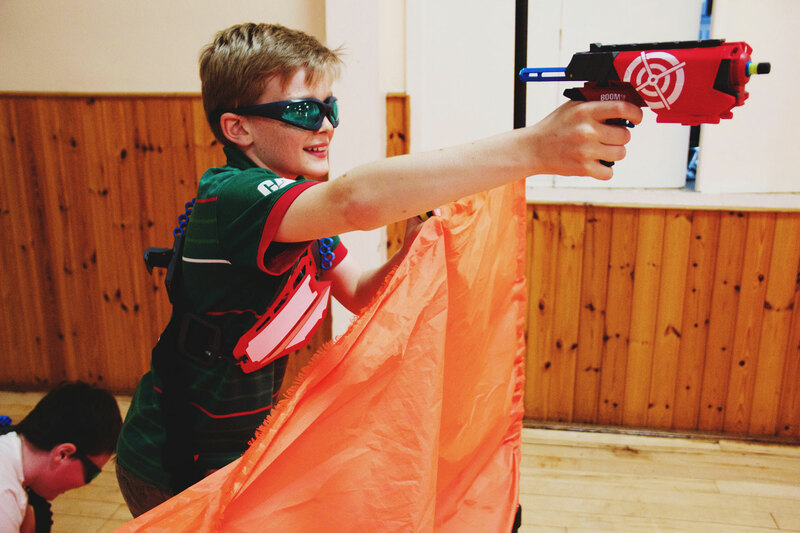 This material is found on small fold-out shields on the guns, on a special breastplate protector that everyone wears, and also on our own targets that are placed around the room. 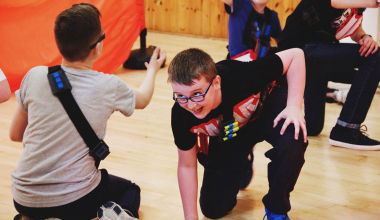 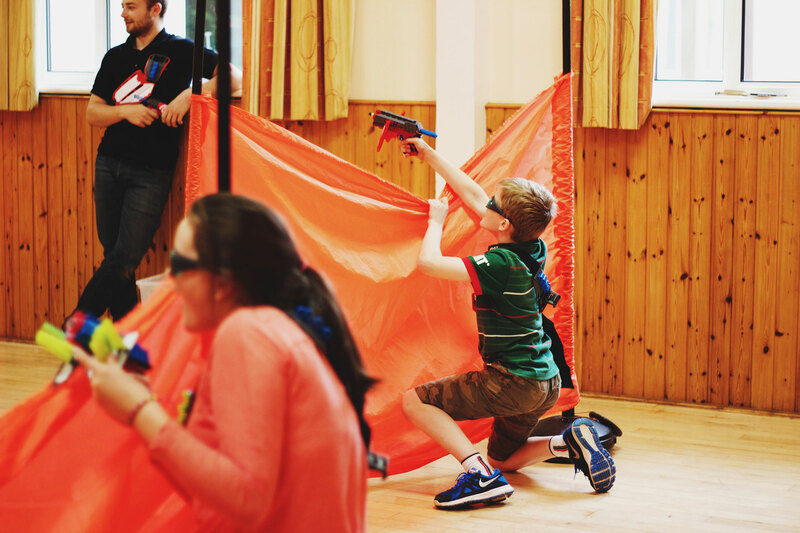 We have completely different games for our BoomCo sessions making them a whole new experience! 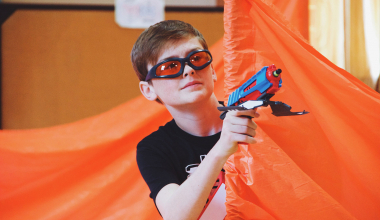 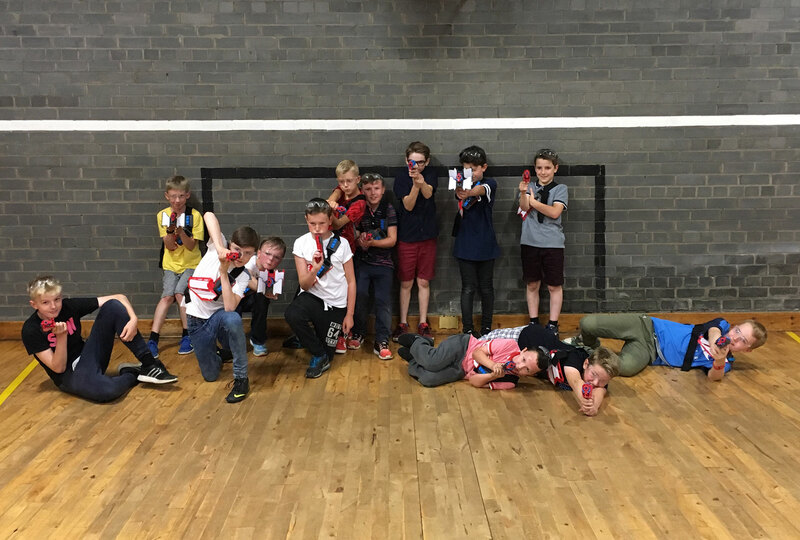 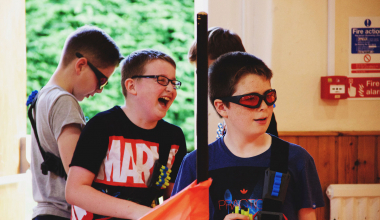 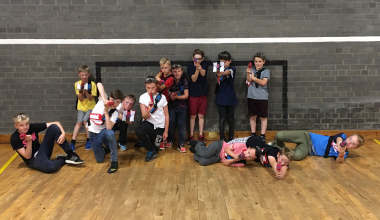 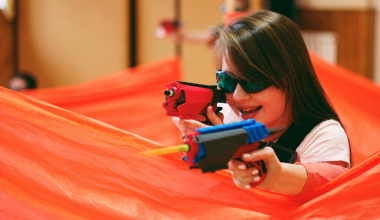 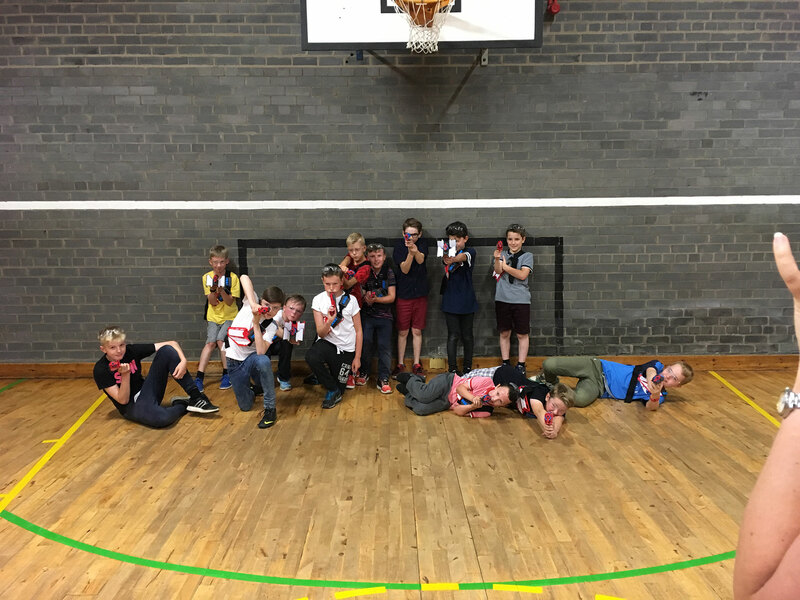 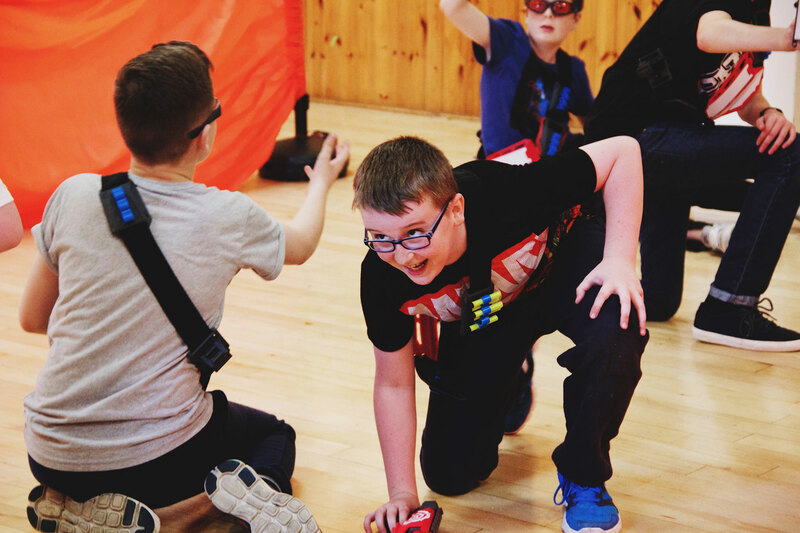 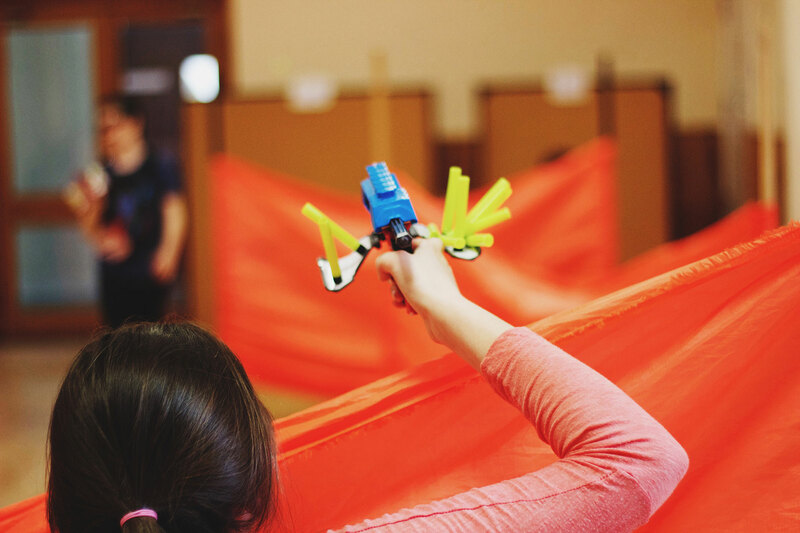 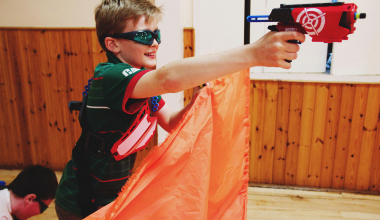 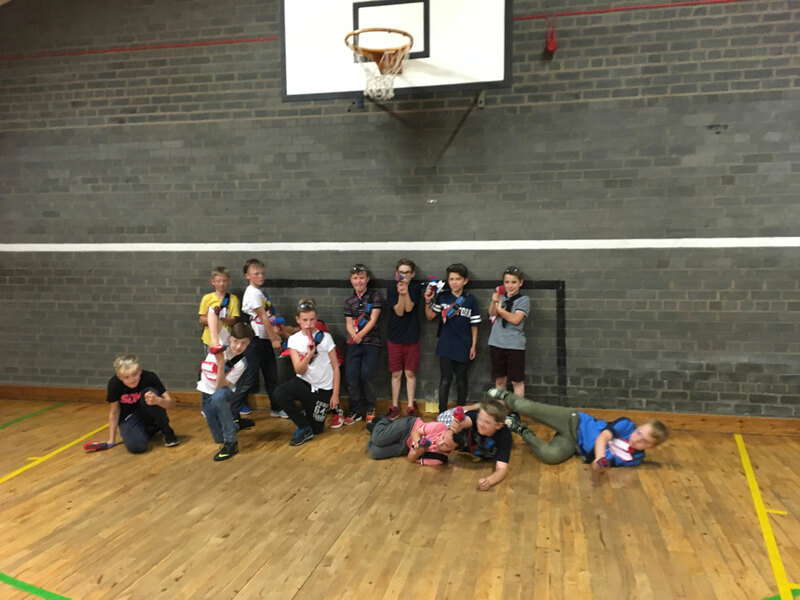 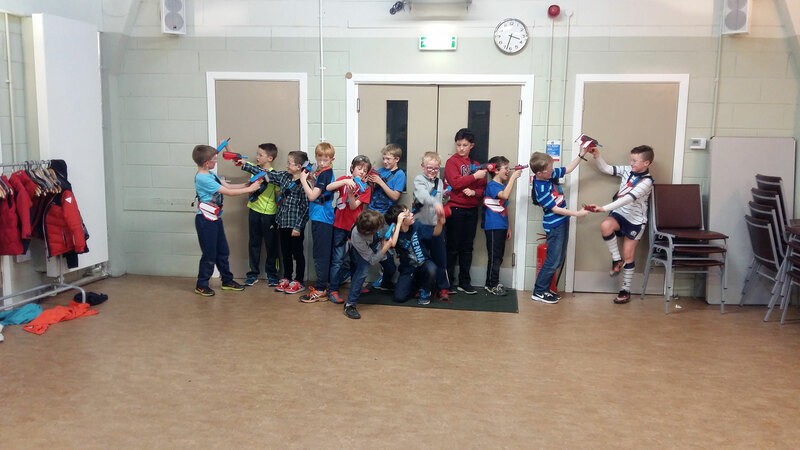 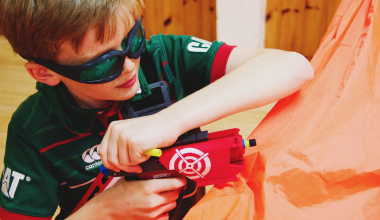 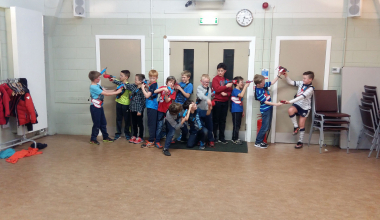 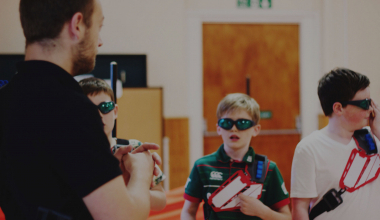 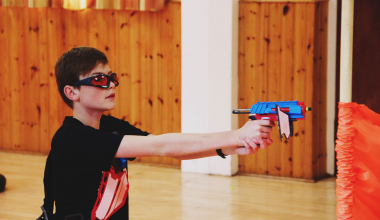 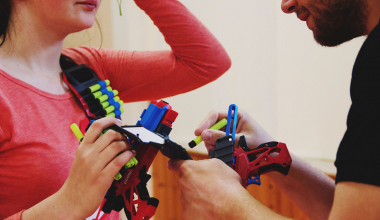 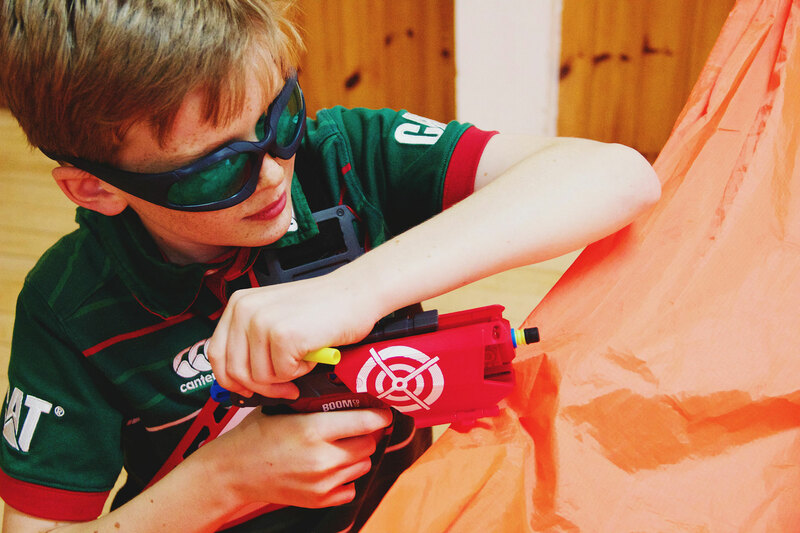 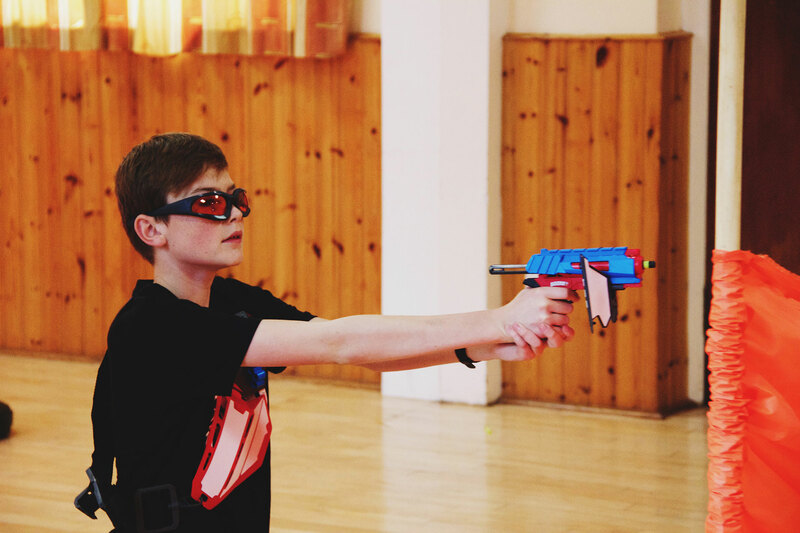 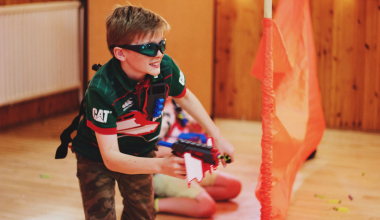 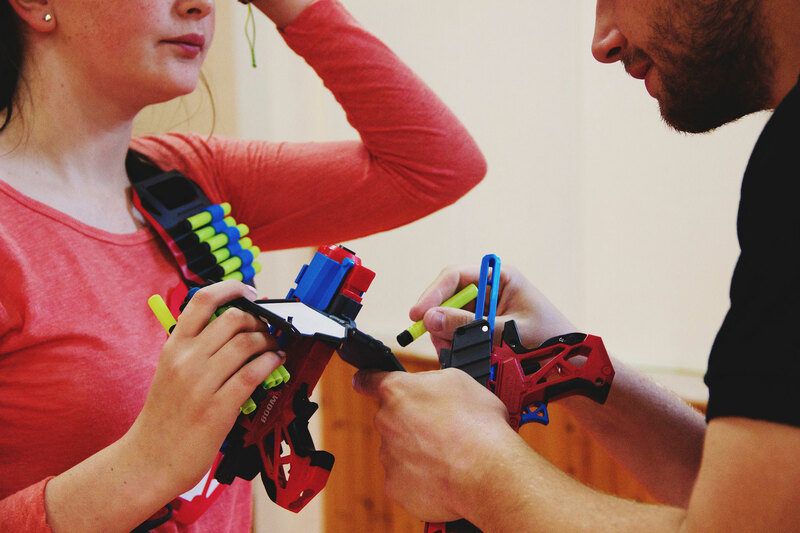 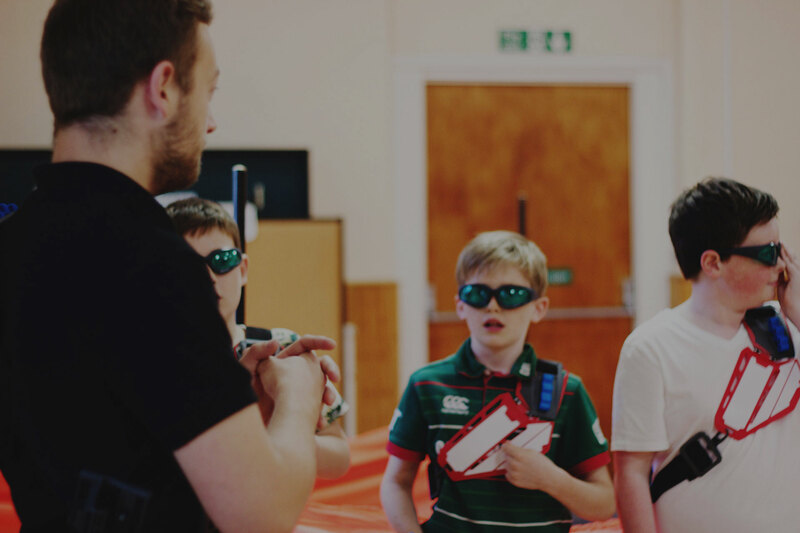 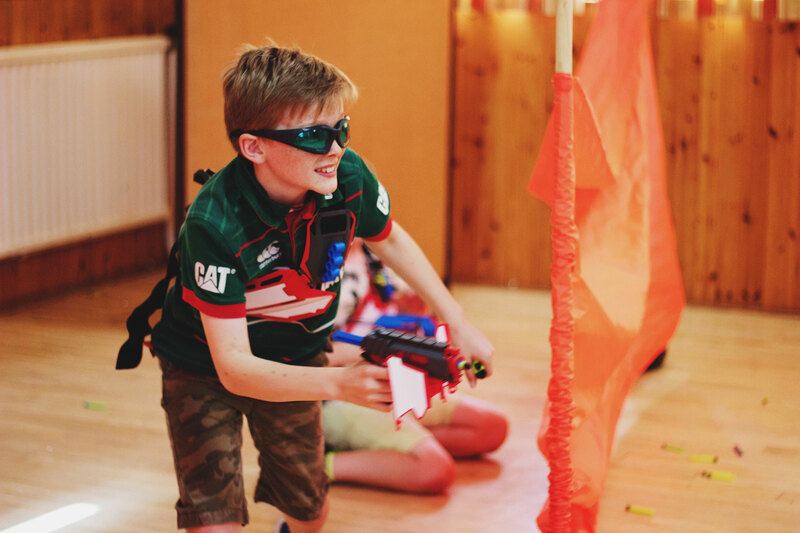 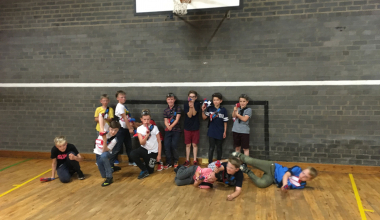 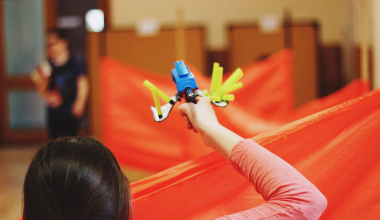 Our BoomCo & Nerf Wars parties start from £150. 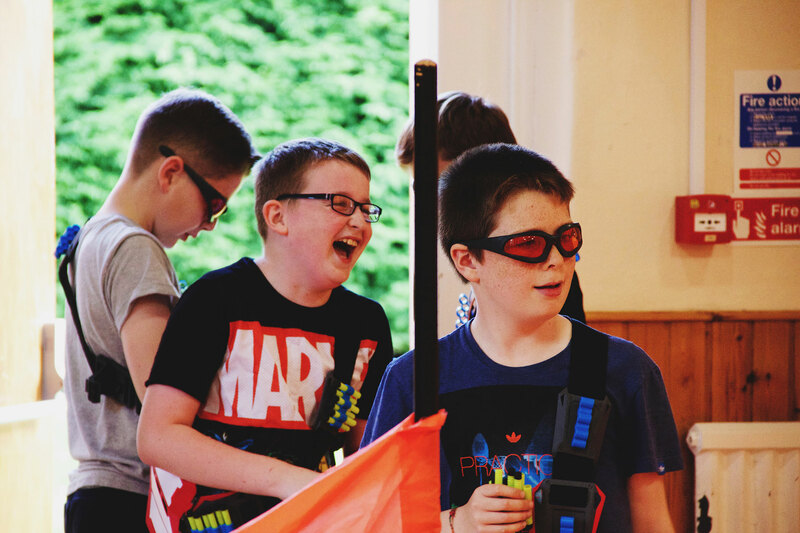 We have different packages fom Birthday Packages to Youth Group Packages so drop us an email and let us know your requirements. 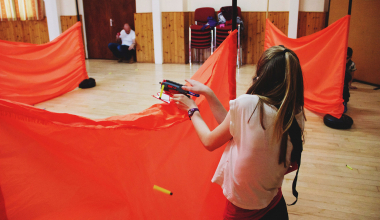 We can run our parties in a variety of locations! 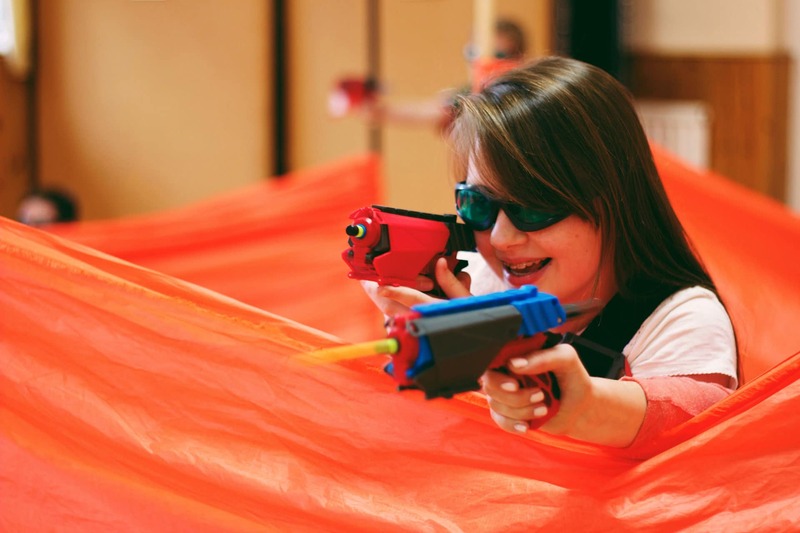 Check out this interactive map for a list of all the locations we have used in the past! 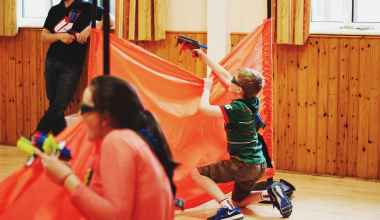 We haven’t discovered all the great halls in Edinburgh yet so if it isn’t on the map it doesn’t mean it won’t work! 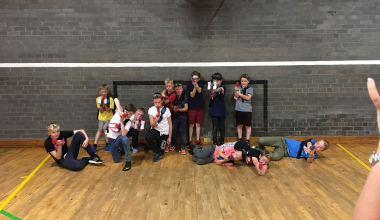 Let us know and we will have a look!